Conducting a multinational rare disease gene therapy clinical trial poses many challenges that must be overcome to ensure a successful clinical study. We will present a case study detailing the different aspects to the implementation of AVROBIO’s phase 1/2 clinical study for their AVR-RD-01 product for patients with Fabry disease in Australia. Initially, AVROBIO, a leader in lentiviral-based gene therapies, will review their corporate goals, the technology platform, the product, and the disease. 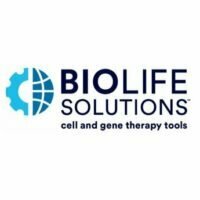 Cell Therapies, a contract manufacturer based in Melbourne that supplies the clinical product, will provide details on the technology transfer and product manufacturing. Finally, the clinical aspects and patient considerations of the Fabry disease study will be outlined by The Royal Melbourne Hospital, who has been treating patients in Victoria for over 170 years. There are multiple challenges in the manufacture of T cell therapies that must be solved in order to meet the global commercialization need for these therapies. In this presentation, solutions to some of these challenges will be presented, including how to reduce variability in the donor’s starting material by simultaneous isolation and activation of naïve and early memory T cells, which persists in vivo. 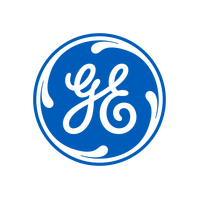 Also, a solution to improve productivity and scalability with be presented that is xeno-free, serum- free, and scalable to meet workflow processes. Lastly, an industry leader, Juno Therapeutics, will discuss some key process challenges and mitigations to ensure robust and efficient commercial cell therapy manufacturing. 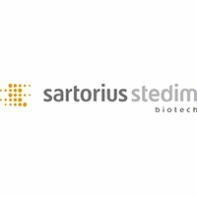 Sartorius has recently launched its new single used rocking motion bioreactor platform for the manufacture of cell therapy products. Effective process development and robust manufacturing are key to scaling cell and gene therapies for commercialization. A flexible solution that offers both could provide a competitive advantage. Recently, Cellular Biomedicine Group (CBMG), a clinical stage biopharmaceutical company in Shanghai, China, partnered with GE Healthcare (GEHC)’s Enterprise Solutions team as well as the Centre for Commercialization of Regenerative Medicine (CCRM) in Toronto to develop a next-generation CAR-T process based on GE’s FlexFactory equipment. Through a panel discussion they will discuss how these three teams worked together, with specific emphasis on how important logistical, technical and communication decisions were made to build a state-of-the-art CAR-T manufacturing facility/process that met CBMG’s specifications and supported their IND filing to the Chinese FDA. The long-term outlook for stem cell therapy predicts an increased need for better defined media and high quality raw materials. Human mesenchymal stromal/stem cells (hMSCs) are an attractive target for clinical study as therapeutic agents. Large scale manufacturing of these adherent-dependent cells necessitates adoption of technologies such as stirred tank bioreactors where suspension culture using microcarriers is enabled. Cell culture media and supplements are critical factors of the scale-up process. Many processes currently include fetal bovine serum (FBS), a commonly-used supplement associated with regulatory, supply, and consistency challenges. Here, we show the performance of a novel, xeno-free cell culture media formulation developed for the expansion of hMSCs in multiple cell culture platforms. We highlight the growth and characterization of hMSCs in planar, spinner, and stirred tank bioreactor growth platforms. Results indicate the medium delivers improved growth performance compared to a benchmark medium while maintaining expected characteristics of multipotency. This xeno-free medium developed for hMSC expansion supports the immediate need for suspension-based clinical production as well as future implementation of large scale, commercial manufacturing solutions for allogeneic therapies that will be required following clinical success. With the recent FDA approval of the CAR T-cell therapies Kymriah® from Novartis and Yescarta® from Kite Pharma, there has been a renewed interest in bioprocessing and the manufacturing facilities required to meet the commercial demands for these novel cell therapy products. A successful commercial production process must be scalable, robust and reproducible and must result in a therapy that is affordable, whilst maintaining the functionality and critical quality attributes of the cellular material throughout. In this session, using CAR T-cell therapy manufacturing as an example, the benefits and impact of automation and flexibility in each manufacturing step in supporting the safety and reliability of the process will be highlighted. Particularly, downstream processing and its challenges will be in focus. Whilst much of the industry effort has been on the upstream process, with emphasis on large-scale cell expansion, in fact, optimization of bioreactor yields often results in downstream process bottlenecks, including harvesting, washing, cell purification, cell concentration, formulation, fill and finish, and preservation. Terumo BCT’s new solution for fill and finish will be showcased. Human Mesenchymal Stem/Stromal Cells (hMSCs) are critical raw materials in numerous therapeutic approaches including cell therapies, cell-based gene therapies, tissue and organ engineering, and exosome and extracellular vesicle-based therapies. 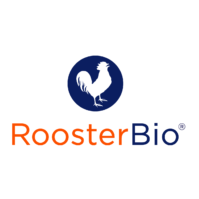 RoosterBio has greatly simplified all aspects of product development that include hMSCs including discovery research, product development, manufacturing process development as well as tech transfer and cGMP manufacturing of clinical product. Our hMSC Bioprocess Systems facilitate rapid implementation of fed-batch bioreactor scale-up, and can be directly implemented in large scale bioreactor-based EV production. RoosterBio’s new EV product innovations enable log enhancements in EV lot size and EV productivity, resetting the cost structure of this exciting new technology segment. Induced pluripotent stem cells (iPSCs) have huge potential for disease modeling and regenerative medicine. CRISPR-Cas9 mediated genome editing has revolutionized our ability to modify genomic DNA at a desired locus, however, editing multiple gene loci or altering a single nucleotide is still challenging in iPSCs. We recently showed genome-editing strategies of multiple HLA genes simultaneously for enhancing immune compatibility. More specifically, we disrupted HLA-A and HLA-B genes biallelically to enhance T cell compatibility, and retained at least one allele of HLA-C to suppress NK cell mediated “missing-self” activity. Importantly, HLA-C-retained iPSCs could evade allogenic T and NK cells in vitro and in vivo. We estimate that 12 lines of HLA-C-retained iPSCs combined with HLA-Class II knockout are immunologically compatible with over 90% of the world-wide population, greatly facilitating iPSC-based regenerative medicine applications. I would also like to introduce our efforts to alter single nucleotide in iPSCs for disease modeling or correcting mutations by optimizing state-of-the-art electroporation methods. At ISCT, Sartorius will launch a new ambr® 250 modular vessel specifically designed for cell therapy process development of sensitive cells. Alongside the new unbaffled single impeller ambr® 250 modular vessel, Sartorius will also launch a low speed version of its ambr® 250 modular mini bioreactor. The ambr® 250 modular mini bioreactor system combined with the new vessel can be utilized for the process development of sensitive cells for cell therapy applications.